Approximately 48% of the Northern Territory’s land mass and 80% of its coastline is Aboriginal land subject to the Aboriginal Land Rights (Northern Territory) Act 1976. The vast majority of remaining land is, or is likely to be, subject to the Native Title Act 1993. With this in mind, the NT Government has developed the Northern Territory Aboriginal Land and Sea Action Plan – Discussion Paper, which contains 10 actions the NT Government proposes to implement. After reading the Discussion Paper, you can provide feedback to the Department of the Chief Minister by emailing DCM.AboriginaLand@nt.gov.au or phoning 08 8999 6730 by the 17th of August 2018. 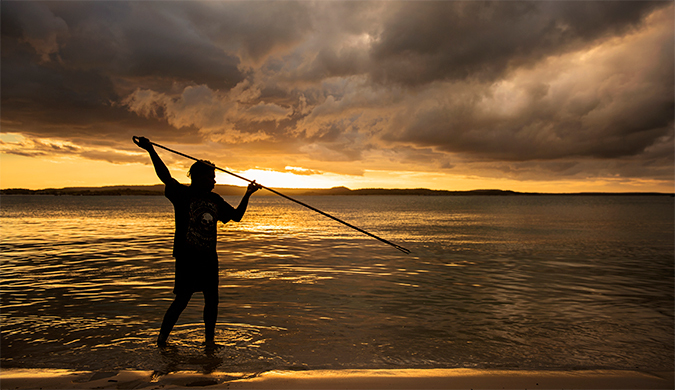 Spearfishing at a Northern Territory beach.